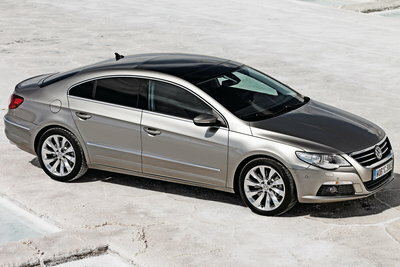 The CC is VW's top model in its U.S. lineup. With its sleek lines and four-passenger seating, VW positions the CC as a 4-door coupe. A 2.0L turbocharged four-cylinder drives the front wheels in the base model. An optional 3.6L V-6 develops 280-bhp. The CC also offers the 4Motion AWD system. A 6-speed Tiptronic automatic is standard on all US models.